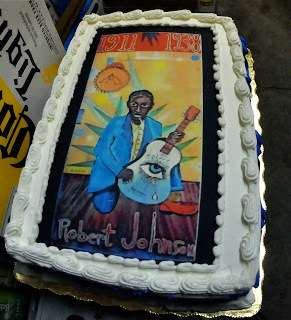 The Green Parrot will celebrate the 102nd birthday of the seminal delta bluesman Robert Johnson on Wednesday, May 8, at 5:30 p.m. The Tribute, hosted by Larry Baeder, who’ll be accompanied by guitarist Bill Blue, drummer Richard Crooks and bassist Francois Gehin, will include several Key West musicians offering renditions of Robert Johnson songs. Dogfish Head Brewery paid tribute to this blues legend by gettin’ the hellhounds off his trail and into one of their finely-crafted ales.We’ve managed to secure a liter of this hard-to-find specialty brew and have been saving it for this day to toast to the late great Robert JohnsonProduced in a small-quantity-limited run, “Hellhound On My Ale,” is 100% dry-hopped with Centennial Hops with sublime citrus notes courtesy of dried organic lemon peel and flesh added pre-fermentation (a taste-bud tribute to Johnson’s musical mentor, Blind Lemon Jefferson). 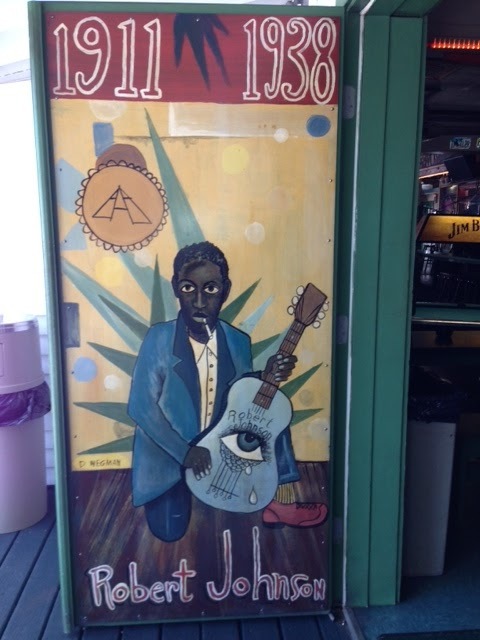 Robert Johnson died at 27 in August 1938—an itinerant blues musician in the Mississippi Delta whose passing merited scant notice locally, much less worldwide. He left a sparse recorded history of 29 songs, and only a half-dozen scratchy 78-rpm discs were released during his lifetime. He has since become known as the King of the Delta Blues Singers, his music expanding in influence to the point that rock stars of the greatest magnitude – the Rolling Stones, Bob Dylan, Eric Clapton, the Allman Brothers – all sing his praise and have recorded his songs. Johnson obtained his amazing guitar skills by selling his soul to the Devil. When I picked up his cake at Publix last year and I mentioned 101 years old, clerks and customers responded with “101, God Bless Him! I did not have the heart to tell them he had been dead for nearly 75 years, let alone that he had sold his soul to the devil, had hellhounds on his trail and was eventually poisened by a cuckolded husband in a juke joint. 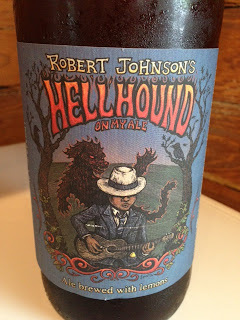 The hellhounds he sang about so hauntingly had caught up with him and he was dead, leaving a 29-song catalogue to which countless bluesmen, rock legends and wannabe bar bands have returned ever since for inspiration.